This was always going to be a year of transition. The one-trick gaming brick of yesterday is increasingly looking more like a Raspberry Pi running an Acorn emulator than an all-singing, all-fragging modern games machine. Obviously, as champions of the PC we're going to be touting it as the saviour of gaming this year, but this perspective is increasingly entering mainstream consciousness. Barely a day goes past when we don't get called up by members of the mainstream press, definitely at the behest of Rupert Murdoch himself, asking about this PC gaming thing. Wasn't it meant to be dead? Nvidia says it's seeing more and more console gamers making the switch to the PC; either upgrading their old rig or starting anew. Sure, PC sales have dropped recently, but gaming hardware sales are still continuing to go up. Nvidia has seen GTX sales significantly rise, against all its expectations. The dip in the PC market has come at the low-end, especially on the laptop side, as tablets increasingly replace the machines people simply used for browsing them intermawebs. So, what are the options in the world of PC gaming hardware? Well, that's really the beauty of this ecosystem: the options are seemingly endless. We've put together three different builds for the newcomer and seasoned PC gamer alike, covering the direct, under-the-TV console replacement build, the budget build and the system for the full-blown PC gaming experience. What's been most interesting writing this feature though, is discovering just how cheap it has become to build a basic PC that will play the most demanding of games at full HD resolutions. With the next-gen consoles expected to cost between £300 to £400 at launch, we can spend that and get next-gen quality gaming right now. Why would anyone go back to those one-trick gaming bricks? 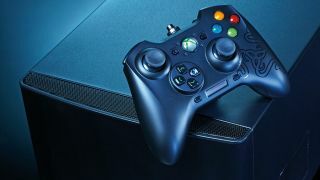 We'll admit that there are things the consoles do well and that's mostly low-end gaming plugged into your HDTV. The lounge has not been a particularly friendly environment for the gaming PC traditionally. Sure, you could get a little media machine to sit under your TV and frustrate you with its weak performance and complete lack of gaming chops, but thanks to the ever-increasing power of low-end graphics cards and the rise of powerful mini-ITX boards, you can now easily put together a small games machine. And, with Valve making strides into the front room with Steam's Big Picture Mode, PC gaming slumped on your sofa has never looked so good. It's not going to be cheap, though. Intel is the only company making competitive mini-ITX boards at the moment, and the combination of CPU and mobo is still rather pricey compared with what you can pick up on the standard-size AMD side. Still, we've built a gaming machine for about £500 that will sit contentedly by your TV and run the latest PC titles on high settings and at impressive speeds. And we haven't really had to sacrifice too much in terms of gaming fidelity at all, despite that half-height low-end GPU. The beauty of this sort of machine is that as well as some decent gaming performance, it will also do everything a proper PC system can do, from encoding HD video to letting you loose on the wilds of the internet. We ran all the gaming tests at 1,920 x 1,080 and on the next rung down from the very highest graphical settings. Batman: AC and Max Payne 3 were run with FXAA and DiRT with 4x MSAA for the post processing settings. They were also all run with DirectX 11 settings turned on.